Lancashire Electrical Solutions - Electrician based in Morecambe, Lancashire. 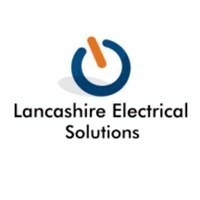 We are Lancashire Electrical Solutions and we are local company with 16 years experience in the electrical sector from industrial to commercial and domestic properties. Shops and offices for individuals. We offer Electrical Instalations - domestic, commercial and industrial. We provide design, installation and certification of electrical services within commercial and Industrial premises. All our work complies fully with BS7671 and we regularly undertake electrical installations and electrical refurbishment.